The Book of Ivy duology is not perfect. It has a lot of flaws, I can list them one by one. But I still love these 2 books all the same. 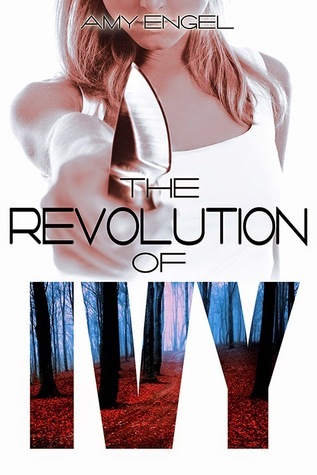 The Retribution of Ivy starts immediately after The Book of Ivy ends. This time around, it highlights on survival. From here on, you can see how Ivy's character has developed from her weak self. I like the decisions that she made and I can even understand why she did what she did. I like how Amy Engel gives a few chapters at the beginning solely for Ivy, to show to us what is it like being out there and how she copes with all that. The rawness of the survival, the choices one has to make in order to stay alive. Bishop, meanwhile, is always as perfect as he is. The romance part in book 2 delivers!!!!!! Their relationship has developed way more as it should be. I love every single thing about Ivy and Bishop's take on relationship, and how they handle theirs. I love how they talk to each other through everything. There is nothing about them as a team that I dislike. I treasure them both with all my entire heart. I really appreciate how Ivy was indecisive about Bishop's sudden appearance, how she didn't just throw herself to Bishop. I understand her excuse and insecurities. Her actions make it all seemed more realistic. And gahhh I really love how this book is wrapped up. How everything finally settles and comes to an end. I'm immensely satisfied, and dear God I appreciate the epilogue so SO much. 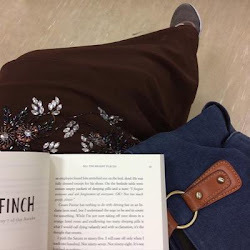 I personally think that Amy Engel is an amazing writer, and I'll look forward to more of her books in the future. Whatever happens to Ivy and Bishop now, I hope they get all the happiness they deserve.